I am strongly on the reuse and improve side! 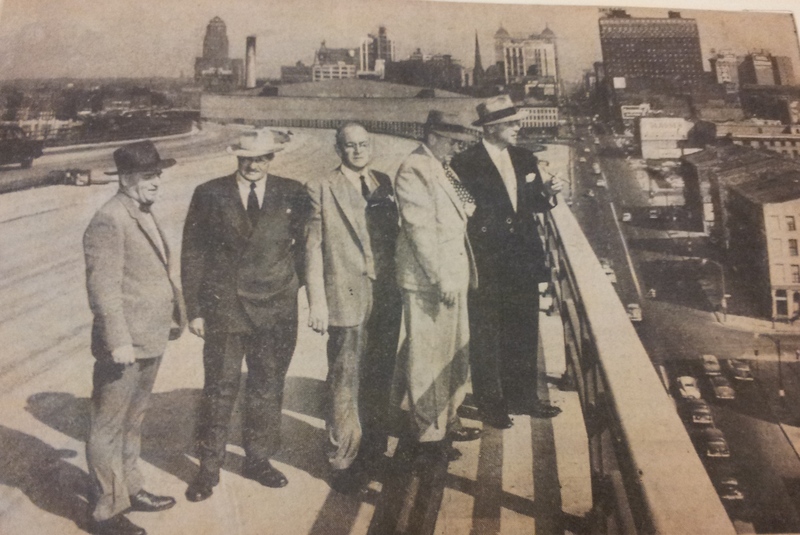 In fact, Rob Jones and I are presenting on reuse and improvement options for The Buffalo Skyway in mid-September at the Preserving the Historic Road Conference in Indianapolis. We debunk the use of the Skyway as a scapegoat for the lack of waterfront amenities, we offer solutions from around the world, and try to open a two-way conversation about this – instead of CNU and PPS’s very limited “tear-it-down” view point. More information: http://thebuffaloskyway.tumblr.com/. I agree that it’s often used as a scapegoat. I think people forget that Buffalo didn’t see much development at all, let alone waterfront development for a really long time. I remember Rob mentioning something about you guys presenting. I will follow your tumblr, will you be posting more after your presentation? http://www.pps.org/community-placemakers-newell-nussbaumer-and-buffalo-rising/ (an article I wrote for Buffalo Rising caught PPS’ eye, and they paid a visit to Buffalo in which the boulevard issue featured highly). But more recently, the calls for the removal of the Skyway have died down. With the improvements to Canalside in the last few years, folks realized there wasn’t any invisible force-field under it keeping stuff from happening at the Inner Harbor. The defeat of the boulevard made Skyway removal somewhat moot. The opening of “Peg’s Park,” the rowing club, Silo City, etc. have renewed interest in improving Ohio Street as a surface route to the Outer Harbor (and ECHDC put out an RFQ this week for end-to-end reconstruction of Ohio). And the proposed “water-level” bridges that were recently studied, that might have provided an alternative to the Skyway and set the stage for its removal, have turned out to be problematic, to say the least. I’m hearing talk of shelving those plans, perhaps in favor of pedestrian-only options that would be much easier to build/operate and have lower impact on the waterfront. So, I think the Skyway will be with us a while longer! I can deal. Just seems to me that the southtown commuters need to be asked their feelings about this. Wonder if Higgins actually ever witnessed how much this thoroughfare is used and how many cars are just using it to connect to the I-190 and not going downtown. Can’t wait to see the backups when it becomes a lift bridge and a Laker is transiting the river. Also can someone show me how much its gonna cost to maintain a couple of mechanical (which means high maintenance and failure rates) lift bridges over the next 20 years? I think the numbers would be comparable, but they don’t seem to be sharing that information. I say leave the skyway as is, update Ohio St and let the commuters prove if its a viable route and if so then determine the skyways fate. If you want access to the Outer Harbor consider a limited weight lift bridge at the end of Fuhrmann going over to Erie St. Besides thats where your target audience for the waterfront is, not the commuters just trying to get to and from work everyday. I love the Skyway. It has been a part of my entire life. That being said we need to take a look at what is best for the commuters since one of the highlights of Buffalo is the manageable commute. What is best cost wise? What will allow Buffalo to continue to grow and continue to honor the beautiful water we live by. The view from the top of the Skyway is one of the best in the city. I must say I am leaning towards keeping the Skyway for another ten years. The Skyway still is a very functional bridge system and I disagree completely on taking it down. It serves a number of navigation interests, from the hundreds of recreational boaters to commercial interests such as General Mills and other businesses on the Buffalo River. And it is a very, very effective transportation link to the southtowns, even in the winter. Bridges in Canada such as the St. Catharines Skyway and the Burlington Bay bridge are equally high maintenance and dangerous in winter weather yet effectively serve millions of people with no calls to take them down. As far as maintenance costs and arguments against the utility of maintaining such a high bridge system like the Buffalo Skyway, why do the Grand Island bridges still exist with no calls to tear them down? Their elevation (particularly the north bridges) serves absolutely no navigational purpose and as total girder structures they are likely more expensive than the Skyway to maintain. Answer, they serve as needed crossings for 2 million vehicles a month. The Skyway should be viewed in the same context. I’d like to see Congressman Higgins present a truly rational and practical plan for replacing the Skyway … such as a massive car-rail tunnel system under the Buffalo River built with federal funds if he is so fixated and determined on tearing down the Skyway. Lift bridges and low-rise structures are a step backward and not the answer. Otherwise perhaps Higgins should put his energies into much more beneficial ventures … like aggressive economic development, job creation, housing and much more activity in the outer harbor. What has he actually done in these areas? Parks are nice … but? I think he spends way, way too much time being fixated on tearing down the Skyway and needs to get real on dealing with the area’s continuing problems and demands. Keep the Skyway it still has 60 years of life why make a bill when it is not needed. The Skyway is safe, has a beautiful view year around safes a ton of time then taking the I-90 in to downtown in the morning. Without the Skyway we will have a ton of acceient the I-90 will be over used. With all the new things being built downtown people will be going there all the time. If you close the Skyway and it takes two hours to go downtown to take the kids to the new kids Meus. during the winter for a afternoon then it is going to turn people away from downtown. We want downtown to come back to life people shopping down there for x-mas, taking family members site seeing, ect WE need to be proud of downtown it needs a life. We are finally bring it a life again. The Skyway means alot to downtown as a whole. It is well needed. 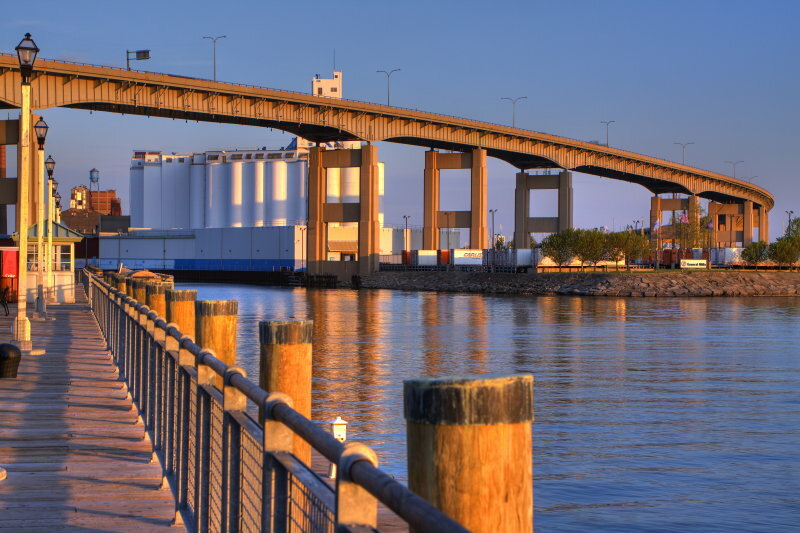 The skyway IS an impediment to the development potential at Canalside. You can not develop high density mixed use projects on the awkwardly shaped parcels of land adjacent and below the constant noise of cars and trucks. It is a real issue not to be dismissed because of the nostalgia for a nice view while driving downtown. Also acres of land are erased by the access ramps. And it’s not about recreating an 1880s neighborhood but rather leveraging the 100 plus million in public investment… The point of those tax dollars was not to create a new venue for an Irish festival. I love the Skyway – it’s impressive scenery is the best view in the city, it’s beautiful curvature is an engineering star, and it is a terrific route into downtown, directly depositing you on Delaware Ave. This bridge was finished when I was 10 years old, it was my most basic route to downtown when I got a driver’s license, and it was my commute to work for a very long time. It should never be changed as it’s really a hallmark of buffalo entering a new age. I drive it often and it’s a huge step above the 190 out of South Buffalo. Skyway is an eyesore in my opinion and I am all for tearing it down. I am a Southtown’s commuter and I would totally sacrifice convenience for a better developed waterfront. There is so much potential for that area and that bridge is in the way of a better Buffalo. Well said Greg I don’t know if anonymous here is joking about it being a hallmark of Buffalo, we can do much better than a bridge over potentially the best property in the city. I take both the Skyway and Ohio street in and out of the city daily, and have for nearly 30 years, in all the sorts of weather Buffalo receives. I also use Fuhrmann Blvd daily on the way home. You know, that boulevard approach some thought could/should support the traffic now using Route 5. Often forgotten is what the waterfront is like from November through March. This is one of the major reasons, aside from the recalcitrant and now irrelevant NFTA, that the waterfront has not been heavily developed. Snowstorms often make Fuhrmann impassable. And that section of Rt5 is often closed due to whiteouts at the sections where the grade lowers to lake level – made much worse by the recent rebuild. The approaches take valuable land? Like the 4 lanes of Church Street that go to the Thruway? Or are we arguing about removing all high speed access to and from downtown, just as its tender shoots of reblossoming start to take hold? The land use argument doesn’t cut it on the downtown end, because that land has not been parklike since the Erie Canal was created. Canalside might have a few more siting options for the stage, and perhaps an attraction, without the bridge piers, but noise from vehicles will continue from the Thruway – unless you’re taking that out too. The piece of land between Church and Seneca? The one with WNED on one side and the Cathedral on the other – making that available is terribly important? At the outer harbor end, Route 5 takes up much of that strip of land anyway – along with Fuhrmann. Are you going to remove Route 5? The actual land occupied by the bridge itself is not terribly significant, nor is removing the bridge going to provide a plethora of development opportunities. I have not seen or heard anything concrete to the contrary, just vague prophecies. The view from the Skyway is unparalleled except from offices above a certain level in the Seneca One Tower – I know, I sat on the 21st floor over 8 years. Pegulaland Hotel and the Phillips Lytle senior partners get a similar view, but anyone with a vehicle can gaze out over the lake and Western NY from the Skyway. The Skyway was originally one lane each way, which was a safer configuration with room for breakdowns. Having broken down near the top of the Skyway I can attest to the danger now. So maybe it should be reconfigured. But not eliminated. Access to the outer harbor is fast and easy from the Skyway, but few people know that or how to, and the signage (or lack thereof) doesn’t help. The Michigan Street bridge lost in the middle of the last century should be replaced, regardless of how proprietary General Mills feels about the leftover stub. The street and bridge were there before they were. Restoring that path makes a great deal of sense, though lift bridges are expensive, and Ohio Street is nearby. Ohio Street is in the middle of a rebuild and will encourage use of the outer harbor via Fuhrmann. Signage must be good though. The old confusing maze is mostly gone but it still is nontrivial getting around there. Higgins? He is a politician with his finger to the wind looking for attention-getting issues. That’s how they survive. Right or wrong have little to do with their motivations. The Skyway doesn’t need to go. It’s not ugly (like the girdery Grand Island bridges) and very functional. It’s not in the way of much and doesn’t prevent use of the waterfront (Route 5 is more guilty there). Keep it, make it safer, paint it, light it, and use it for the excellent resource it is. My family is trying to have a memorial erected at the Erie Canal Harbor in honor of my father Mitchell LaClair who fell to his death in 1955 while working on the Skyway Bridge. He was an ironworker and Native American. We are aware of the many challenges that lie ahead in order to make this happen. We have contacted the Local #6 Ironworkers Hall who are on board along with calls to different politicians including Mayor Brown but no answer yet. If you have any suggestions with regard to this effort please notify me. Yes the Skyway does not need to go although the big names might think so. I would rename it the Skywalker Bridge too. Thank you.